In the first half of 2011, Victor came out with 3 different rackets, one from each of its major series, namely, Brave Sword, Super Wave and Spira, that are all colored blue. Not hard to guess that they made it that way as they are the main equipment sponsor of South Korea whose national team color is that same shade of blue. The striking medium blue actually looks very nice on the racket as it is rather unique and very few if any rackets before this have use this color. The only downside is that the accents alone makes it hard to differentiate between the SW37, BS12 and the SP22. Victor gave the BS12 it usual Brave Sword treatment, two white accents at the 4/8 oclock position and some black silver accent at the 2/10 o’clock position. Holding in the hand it is a really attractive racket. Victor has done well in the aesthetic of this racket. 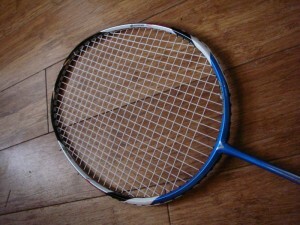 The Victor Brave Sword 12 came off from a pedigree of rackets that are well know for their speed. The technological advancement of the Brave Sword series is the extreme sword blade cross section that is designed to cut through the air like hot knife through butter. I am a happy owner of the Brave Sword 10 (BS10) which was the most incredibly fast racket that i have ever seen. Driving and defending using the BS10 is lightning fast, to the point that it is almost addictive. The BS12 is no different. The profile and molding of the BS12 is very similar to the BS10. 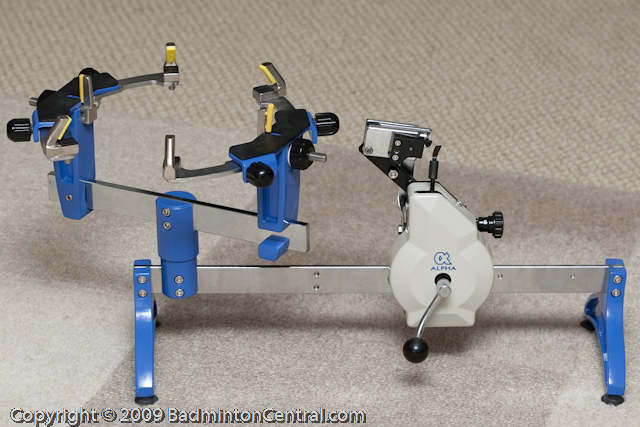 The same basic frame shape, the same blade cross section, and the same traditional 72 hole stringing pattern. The major differentiation beween the BS12 is that the BS12 is a less aggressive racket. Even with the similar balance, it is more moderate on the stiffness. BS10 hold like a wooden stick while the BS12 is more like a whip. This is quite welcoming for player who prefer to have a forgiving racket as the BS10, to be honest, is very difficult to wield. Being a Victor racket it makes a perfect match to have string it with Victor flagship as well as our default test string, Victor VS850. I chose a tension of 27x27lbs which brings out some of the repulsive character of the string but not overly high to match the moderate stiffness of BS12. Being a Victor the quality of the grommet is excellent and they sit precisely inside their respective holes. The racket sits tight and only give in slightly at this rather high tension. which is understandable. With the standard treatment of 2 layers of RKEP G09 grips it is ready to go to play testing. The first feeling upon hitting with the BS12 is that the racket is more forgiving. Impact on the shuttle while still very crisp it is not as hard when compared to the BS10. This is not to say that it is dull, not at all, the feeling is very lively, the shuttle upon impact bounces off with slightly less effort than the BS10 at medium speeds, but lacking a bit of punch when hitting hard. Being a Victor the feelback is very good without over-dampening the racket. Response of the BS12 is medium fast. Being a mid-stiff and forgiving it is not the fastest of racket. 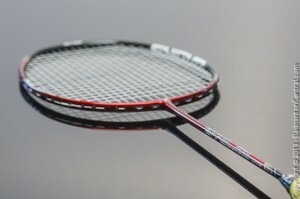 When compared to other stiffer racket like BS10 or MX80 it has a slight delay on power shots, adjustment of timing will definitely be needed there. 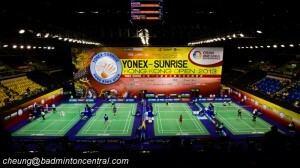 However, this means that intermediate player without thunderous power will be able to use this racket with ease. Stability of the racket is quite good, the light feel of the racket isn’t beefy enough to make it over-stable but adequate. The very first impression of the BS12 is that it is less crisp than the BS10 or the MX80. This has got to do with the more forgiving medium stiff rating. Drives/Defense is where the BS12 really shines, the sword cross section really cut through the air and make the racket super fast. the lively response of the shaft also means that shuttle bounces off the stringbed fast and precisely. Smashing while decent the BS12 isn’t the best smashing racket, the softer shaft and the overall less heft in the racket means that extra effort is needed to propel the shuttle forward properly. the softer shaft also means that the response of the racket overall is slower and someone who is used to stiffer racket will have to adjust their timing. Clear/Drops are well with the BS12 as the medium speed shots matches the slow response of the racket well. Shuttlecock flies off with a solid impact on clears and the ample amount of feel/feedback typical of Victor rackets give very good position adjustment/control. Overall, i see the BS12 inheriting the pedigree of the Brave Sword range that is designed for speed, if you like super fast drives and quickness in defense, this is a great racket. In particular, the more forgiving BS12 is much more suitable for upper intermediate players who don’t particularly like to hit extra hard shots. Powershot are slightly sacrificed to get to that though. Having said that, i have at least one friend who tried it and liked it so much he bought one for himself, and another one who is very tempted to. This should become one of Victors more popular rackets.